Lakithra - a settlement known for its advantageous location and mild climate, on a magnificent lush site where one can look on to the unhindered view of Argostoli and its bay, the impressive high peaks of Mt. Aenos across, the surrounding villas and traditional homes, and only 6 minutes away from the island’s capital - is the choice location where our company is constructing a building of six deluxe apartments appropriate for permanent residence or holiday quarters. Villa Aliona, built in the midst of a grove of huge olive trees, is centrally located in one of Katelios’ highest points offering panoramic and unhindered views to Lower Katelios and the sea. The villa has a total area of 215 sq. m. spread over two floors. The ground floor has an area of 115 sq. m. and consists of the living room, sitting room, the kitchen and a bathroom. An internal staircase leads to the upper floor which has four bedrooms, each with its own bathroom. Villa Angelica – a property of 230 sq. m. - is located in the settlement of Zervata, only 5 minutes away from the port of the pretty town of Sami, in the shadow of densely wooded mountains and in the vicinity of some of Kefalonia’s most popular tourist sights such as Cave Lake Melissani, Drogarati Cave, Karavomylos, Aghia Efimia, etc. 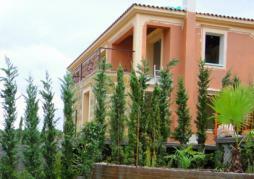 Villa Allegra is located in the magnificent island of Kefalonia, the biggest in the Ionian Sea. Kefalonia is one of the most popular destinations in Greece, particularly famous for its gorgeous beaches, traditional villages, natural beauty and hospitality. 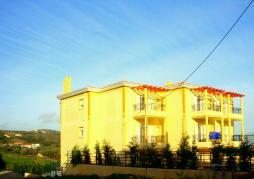 Villa Allegra is a new vacation destination in Tzamarelata village, located in northern Kefalonia. Set on a fantastic and panoramic hillside, it offers outstanding views and an expansive vantage point of the Ionian sea. The traditional style is dominant throughout the architecture and interior decoration. 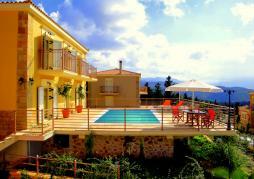 Villa Fiorella is located in the magnificent island of Kefalonia, the biggest in the Ionian Sea. Kefalonia is one of the most popular destinations in Greece, particularly famous for its gorgeous beaches, traditional villages, natural beauty and hospitality. 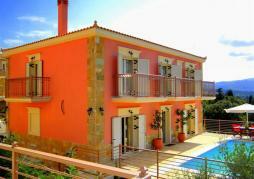 Villa Fiorella is a new vacation destination in Tzamarelata village, located in northern Kefalonia. 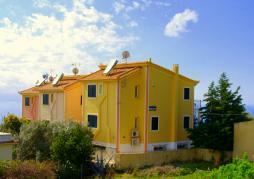 Set on a fantastic and panoramic hillside, it offers outstanding views and an expansive vantage point of the Ionian sea. The traditional style is dominant throughout the architecture and interior decoration. Villa Fortunata and villa Levantina are lovely and luxury newly built villas which are located at one of the most beautiful places in Kefalonia in the center of Katsarata village in Fiskardo area. The properties are set on a fantastic and panoramic hillside, so it offers stunning sea view from all the rooms, view towards the Islands of Lefkada, Ithaka, Meganisi and the main land, offering magical sunsets. The properties have private pools , spacious balconies and all the facilities for your convenience. One of the best , elegant self-catering villa, in Kefalonia Island, Greece, with private swimming pool and a stunning view over the Ionian Sea. The villa has been smartly designed to satisfy those who opt for finesse & affordable luxury during their holiday. The villa is located in Katelios, southern Kefalonia, an area surrounded by deep green mountains, and contrasted by deep, calm blue seas. Just a 5 min walk distance from the beautiful sandy beach of Katelios. 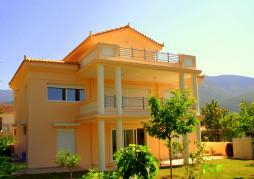 Villa Athena is located in the magnificent island of Kefalonia, the biggest in the Ionian Sea. Kefalonia is one of the most popular destinations in Greece, particularly famous for its gorgeous beaches, traditional villages, natural beauty and hospitality. 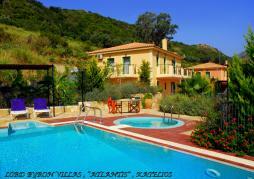 Villa Athena is a new vacation destination in Mavrata village, located in southern Kefalonia. Set on a fantastic and panoramic hillside, it offers outstanding views and an expansive vantage point of the Ionian Sea. The traditional style is dominant throughout the architecture and interior decoration.